6. Packaging: Each Lobster individually wrapped the seaweed or newpaper ( soaked in the seawater ) and packed 25-50 pounds/Carton to a thick chilled box along with ice. The temperature will be maintained at between 4 and 7 degrees Celsius. 8. 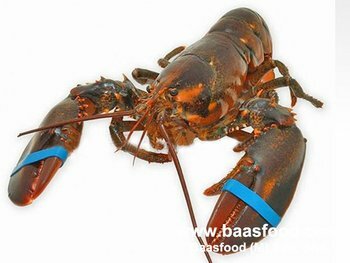 Death Rate: Less than 5%, if it exceeds 5%, according to the market price of "Frozen Spiny Lobster"
Remarks 1: Shipping Time: Normally, we will do our very best for arrange the flight within 10 working days, if any special case, we will adopt “Email, Phone, Fax” etc. to inform buyer.